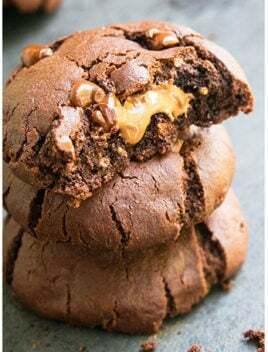 This fudgy chewy triple chocolate cookies recipe from scratch is made with simple ingredients. They are loaded with cocoa, chocolate chips and fudge. 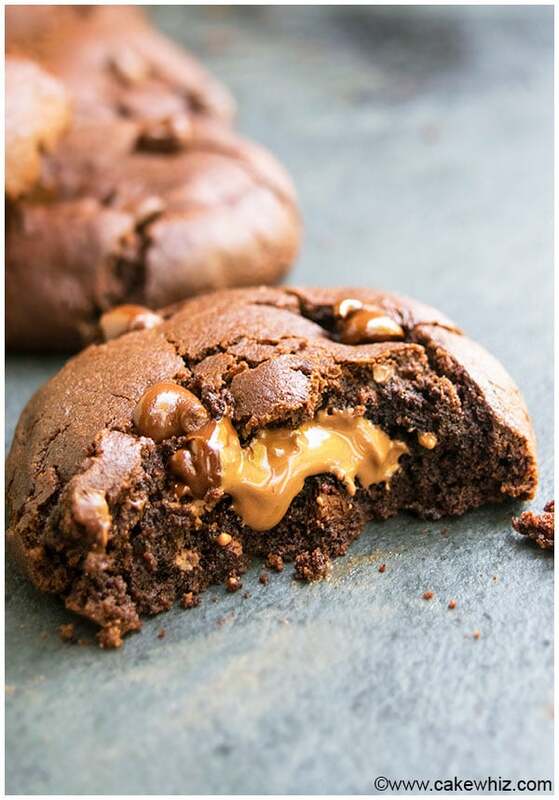 If you guys have some extra holiday fudge lying around, be sure to make these TRIPLE chocolate cookies. 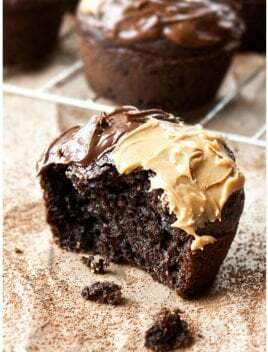 They are meant for chocoholics and each bite is a sensational chocolate overload! 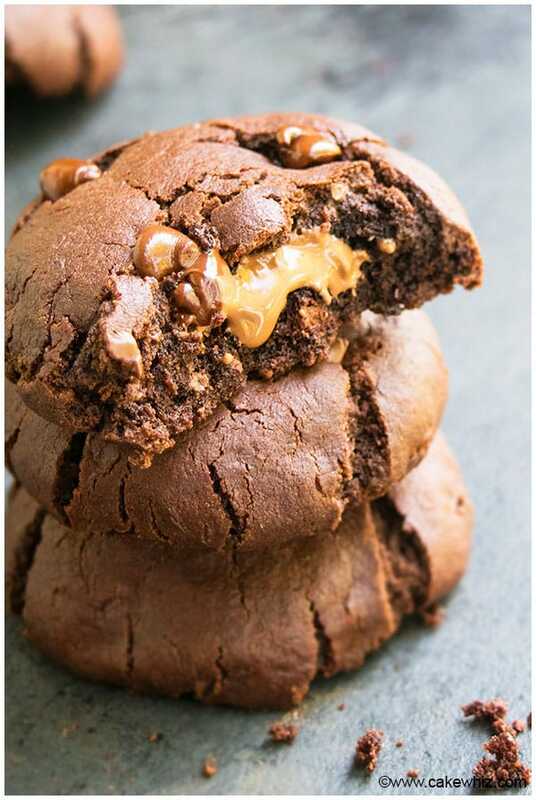 They are so RICH, FUDGY and CHEWY that it almost feels like you are eating an ooey gooey brownie, which is INCREDIBLE! 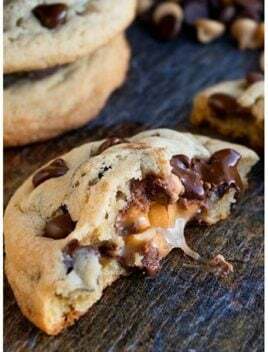 I have made triple chocolate cookies with cake mix in the past but I truly think these homemade ones are the BEST triple chocolate cookies ever! They have a better overall flavor and texture. Use UNSALTED butter since salted butter makes cookies very salty. 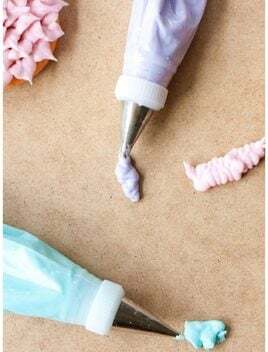 Only baking soda is used in this recipe. DON’T replace it with baking powder. The number of cookies you get from this recipe can vary depending on how big you roll your cookie dough balls. 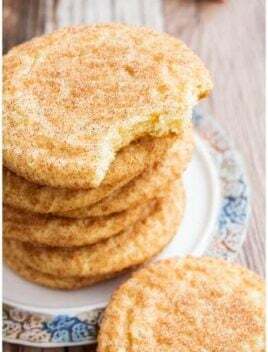 Both, granulated and brown sugar are required for the perfect texture. DON’T replace one with the other. Instead of chocolate chips, you can stir in chopped nuts, toffee bits or even white chocolate chips or peanut butter chips. DON’T over-mix the cookie dough because that will make the cookies very tough. 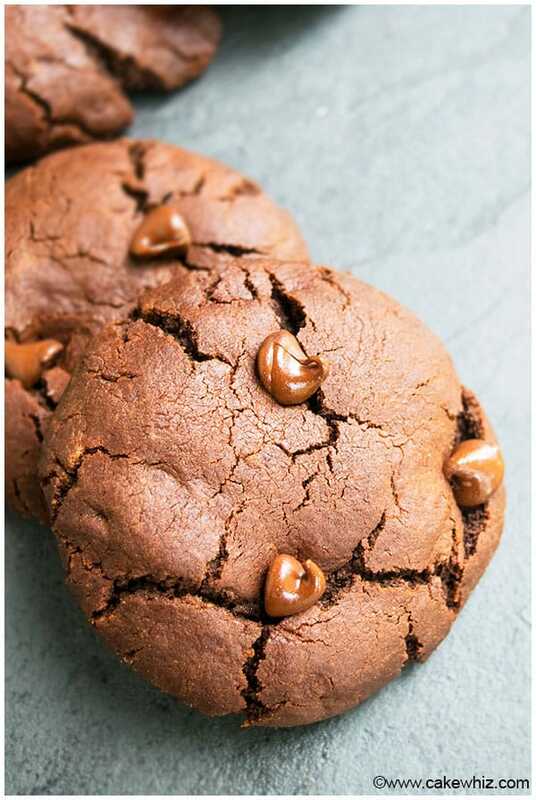 How to make triple chocolate cookies? Start off by creaming together butter, granulated sugar, brown sugar. Then, mix in egg and vanilla extract. Add flour and baking soda and mix until just combined. Stir in chocolate chips. Scoop out small portions of the dough and roll them into a ball, flatten them, add a piece of fudge in the center and roll it into a ball. Place these balls on a cookie tray. Then, bake and enjoy! In a mixing bowl, add butter, granulated sugar, brown sugar and cream everything together until light and fluffy. Add egg, vanilla extract and mix again. Add cocoa powder, flour and baking soda and mix until just combined. Chill dough in the fridge for 30 minutes if the dough is too soft and difficult to handle (Optional). Scoop out small portions of the dough roll it into a ball and flatten it. Place a piece of fudge in the center and wrap the cookie dough around it into a ball. Place cookie balls on a cookie tray, lined with parchment paper. Chill in the freezer for 10 minutes (Optional). It helps the cookies hold their round and "poofy" shape. Bake at 350 degrees for 12-14 minutes or until edges are firm. Remove pan from the oven and before the cookies cool down, push a few chocolate chips on each cookie. 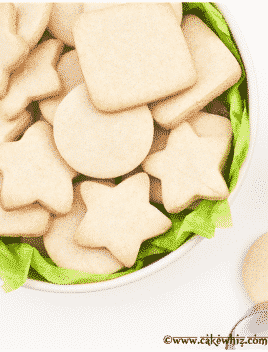 Allow cookies to cool down completely before removing them from the pan and then, enjoy! Leftovers can be stored in a sealed container at room temperature for up to 3 days. 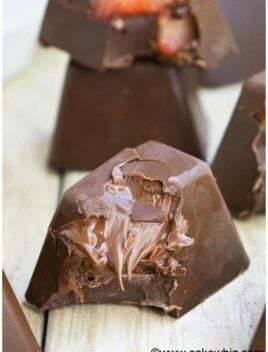 Instead of chocolate fudge squares, you can also use chocolate kisses or even Dove, Godiva, Lindt chocolate squares (1 inch size). Until next time, tata my lovelies. I don’t think that should be a problem, as long as you store them in sealed freezer bags. I hope you love it as much as me!